Measurements: Height 80cm, Base 70cm. 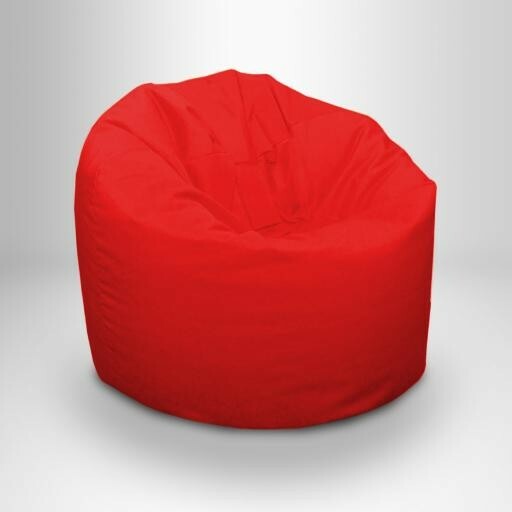 Here's a beanbag you can really sink into. The shape is designed to give you cushioning support around your legs, bum and lower back. The fabric is double stitched for extra strength and durability. Lean back and relax in the knowledge that we manufacture all our bean bags in the U.K. in our very own factory and test everything before we send it out to you. The filling is high quality polystyrene beads that are long lasting and safe. Available in lots of colours. Perfect for children or all adults.